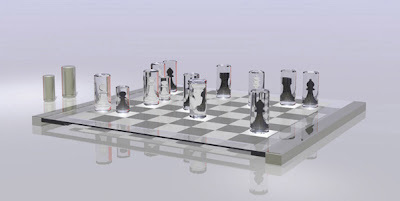 The "Alice" Chess Set designed by Yasmin Sethi makes use of two interesting lighting materials, LightPoints and Mirona, created by SCHOTT North America, to create its effects. Inspired by Lewis Carroll's "Alice" stories, the pieces on the chessboard appear or disappear depending on where they are placed. What other types of exhibit applications could LightPoints and Mirona be used for?